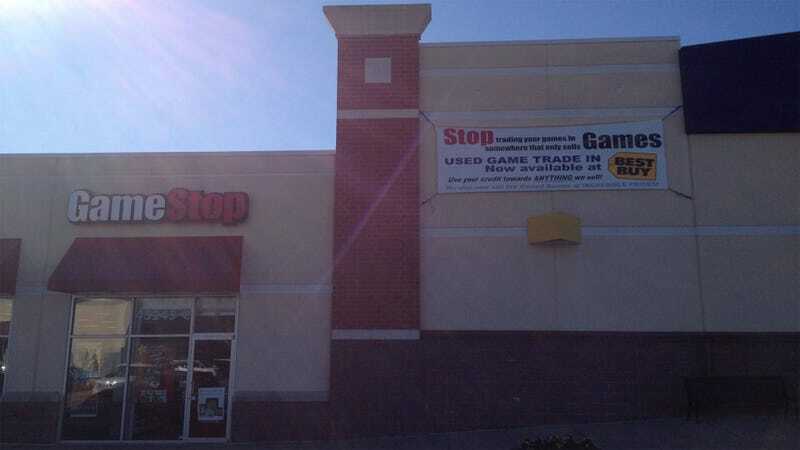 Come on, brave little GameStop. Don't let Best Buy push you around. Get your hands on some Futura Bold Extra Condensed and poke fun at Best Buy's disorganized Blu-ray aisle and its $5,000 HDMI cables.